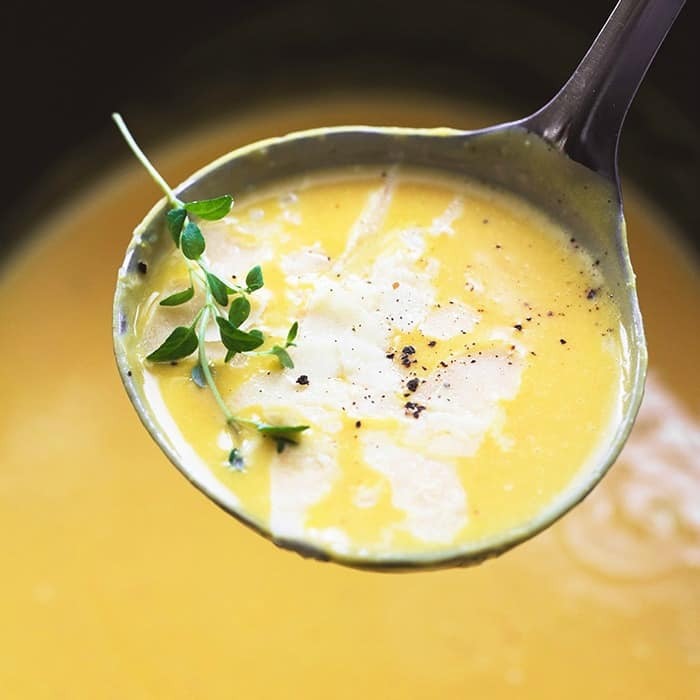 Slow Cooker Butternut Squash Soup is creamy, cheesy, and the perfect comforting soup. This soup will become a new favorite! 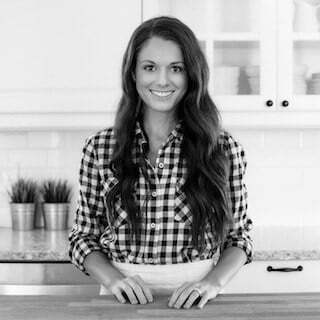 Hey hey it’s Tiffany from Creme de la Crumb and I’m so excited to share one of my favorite Fall soups with you today! It’s creamy, cheesy, delicious comfort food you just can’t live without this time of year. Or any time of year! 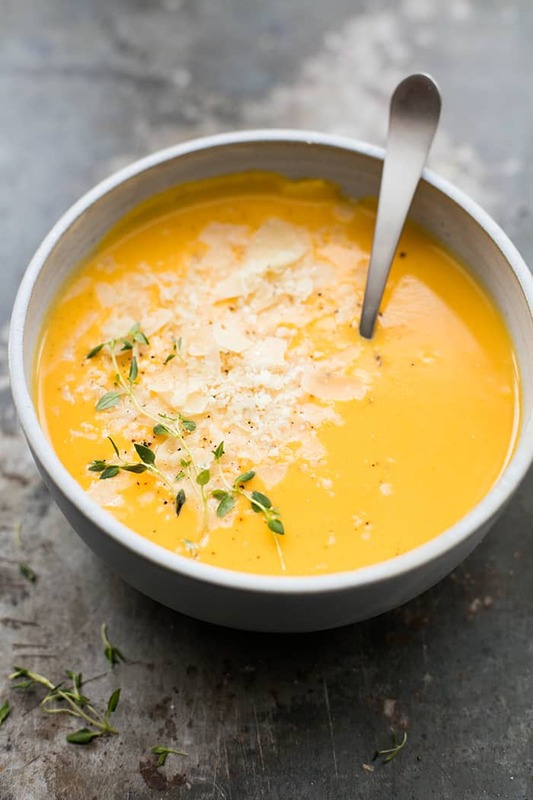 Butternut squash is one of my favorite vegetables and it makes the creamiest, tastiest soup, especially when you bring in a little parmesan cheese!!! Or a lot. Do not hold back on the parmesan cheese! Combine butternut squash, onion, garlic, and vegetable stock on the slow cooker. Cover and cook on high for 2 hours or on low for 4 hours until squash is very tender. Transfer to a blender or use an immersion blender to blend until smooth. Stir in parmesan cheese, cover for another 5-10 minutes until cheese is melted. Stir in salt and pepper to taste and serve. 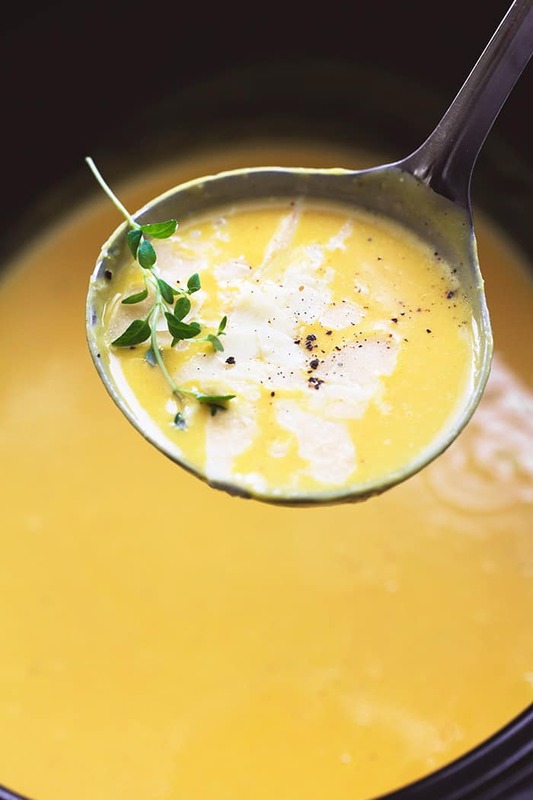 I often put parmesan rinds into chicken stock to make it taste even richer, but I haven’t put parmesan into my squash soup. Good idea! Wow, that looks like a very quick recipe. Something very different! Thank you so much! First time ever made or tasted squash soup. After my palate adapted to the soup, I actually enjoyed it, can’t say the same for my parents with whom I share soups.